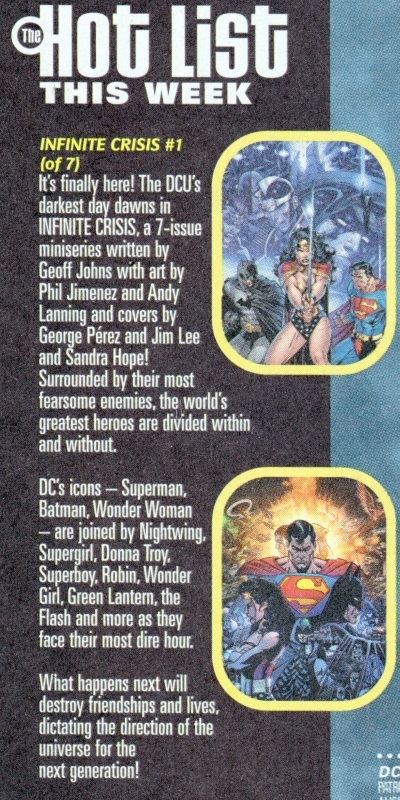 Hey, remember when I used to talk about annotating DC’s summer events rather than mashing-up covers? Yeah, me too. With a day off work yesterday, I caught up on a handful of little things – I’ve added five more covers to the CRISIS #7 Homage page; and house ads for INFINITE CRISIS, FINAL CRISIS and even BLOODLINES.